Australian Survivor 2017 runner-up, Tara Pitt, will be appearing in Gympie on December 2 at the Bull Busters Rodeo. 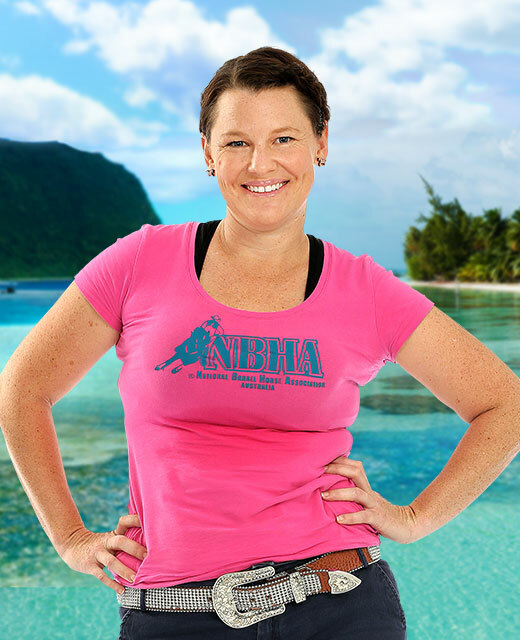 Sunshine Coast based barrel racer Tara spent 55 days in the Samoan jungle and missed the life changing $500,000 Survivor prize money by narrow margin to superfan Jericho in the series final which aired October 10. Tara is the Director of the National Barrel Horse Association (NBHA) and wanted to use her time on Australian Survivor to promote her sport. She will be competing in the Summer Series Barrel Race held here in Gympie in December in conjunction with Bull Busters Rodeo. Pitt, who didn’t even have a passport before signing up to Survivor, told the Courier Mail that despite not taking out the win, the show was a life-changing experience. “I surprised myself in many ways,” she said. Bull Busters Rodeo is a fundraiser for the Gympie District Show Society and Miss Showgirl Rodeo Entrant, Georganna Williamson. Gates open at 3pm for a 4pm start. The Rodeo promises all the action of the Open Bull Ride with $2,000 in prize money up for grabs. Other events include Senior Bull Ride, Novice and Jnr Bull Ride, Steer Ride and Poddy Ride. Food and full bar will be available for the whole event, with an afterparty to follow until midnight. Adults $20, Student & Concession $15, kids only $5 and children under 5 are free. For your chance to see Tara in action (and get an autograph! ), get your tickets for the Bull Busters Rodeo from www.onlinetickets.com.au or listen to Zinc 96.1 for a chance to win. We have 10 family passes to give away.